The writer teaches economics at SOAS University of London and is a senior research fellow at Bloomsbury Pakistan. PAKISTAN’S dire need to approach the IMF for financing has been widely discussed particularly since US Secretary of State Mike Pompeo’s statement that any IMF programme should not bail out Chinese lending to Pakistan. The US has the largest quota (16.5 per cent) in the IMF, so its concerns obviously carry weight. However, the popular perception that an IMF programme will be tough only due to US pressure is misplaced. The real story might be the recently reformed IMF lending rules in 2016, which prevent the Fund from bailing out a distressed sovereign’s existing creditors. A primer on IMF lending rules: It is important to understand upfront that the Fund’s lending rules vary depending on whether a country requests ‘normal’, or ‘exceptional’ (ie very large) access to Fund resources, with the bar of IMF conditions being higher for the latter. Pakistan’s quota for normal access financing at the IMF is $2.85 billion. A request for Fund resources up to 435pc of its quota would be classified as normal access. For Pakistan, this amounts to $12.5bn. It would seem at first glance that Pakistan’s financing request to the IMF could be calibrated to just under this amount in order to avoid the tougher conditions associated with exceptional access. For instance, Pakistan might be able to borrow China, Saudi Arabia, Islamic Development Bank, and other non-IMF sources to bring its external financing gap below $12.5bn. However, there is a snag. Pakistan already owes $6bn in outstanding loans to the Fund from previous programmes and this counts towards the $12.5bn. A debt re-profiling could kill four birds with one stone. So, even with a new programme of size $6.5bn Pakistan will be considered an exceptional access case. Separately, if Fund disbursements over the first 12 months of the programme exceed 145pc of quota (around $4bn for Pakistan), this too would result in exceptional access, regardless of the total size of the new programme. The upshot is that there are a range of plausible scenarios in which Pakistan ends up being subject to the Fund’s exceptional access criteria. The toughest of these is that the IMF requires adequate safeguards on debt sustainability. The Fund will make two assessments in this regard. First, the Fund will decide what zone of debt sustainability Pakistan falls in. If the debt is unsustainable, it is classified in the Red Zone; if the debt is sustainable, but not with a high probability, it is classified in the Grey Zone; sustainable with a high probability falls in the Green Zone. The Fund pays attention to two main variables when assessing the zone of debt sustainability: debt to GDP ratio, and gross public financing need/ GDP. For Pakistan, the former is close to the IMF’s high-risk threshold for emerging markets (70pc of GDP), while the latter is well above the corresponding high-risk threshold for emerging markets (15pc of GDP); these thresholds are discussed in the recent Argentina exceptional access programme request in 2018. Given this, it seems unlikely that the Fund will classify Pakistan in either the Green Zone or the Red Zone, and it is likely to end up in the Grey Zone. Second, the Fund must decide if the conditions mandated by its exceptional access lending rules are satisfied for the zone of debt sustainability the country is assessed to be in. On this, the Fund’s exceptional access lending rules generally require that countries falling in the Grey Zone undertake some kind of re-profiling operation on its existing loans. This is to ensure IMF money is not used to pay off other junior creditors — something the Fund regretted doing during the 2010 Greek bailout. A re-profiling is a lighter form of restructuring which usually involves a lengthening of the debt’s maturity, with no change in the nominal principal or interest payments. 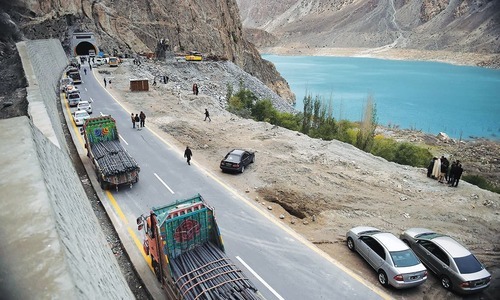 In Pakistan’s case, the re-profiling could cover the sovereign’s external commercial debt, as well as bilateral loans from China as well as Paris Club creditors. Should Pakistan re-profile its debt? : Governments generally balk at the idea of undertaking any restructuring of their debts (even of the light re-profiling variety mentioned here), because they are afraid of being shut out of markets for extended periods of time. However, this calculation may be misplaced given recent evidence that ‘light restructurings have a smaller, if any, impact on market access loss compared to deeper restructurings’. Moreover, the evidence on re-profiling of debt by Pakistan (1999), Uruguay (2003) Cyprus (2013) and Jamaica (2013), indicate that re-profiling of debt “did not have destabilising effects on the banking system”. Moreover, a re-profiling will mean that IMF money will not disappear abroad as payments to external creditors but can be used to give breathing space to the new government to smooth out its fiscal adjustment efforts. Pakistan already has some experience with such operations. It restructured a Eurobond in 1999 and received rescheduling treatments from the Paris Club in 1999 and 2001. These treatments helped restore Pakistan’s debt sustainability. 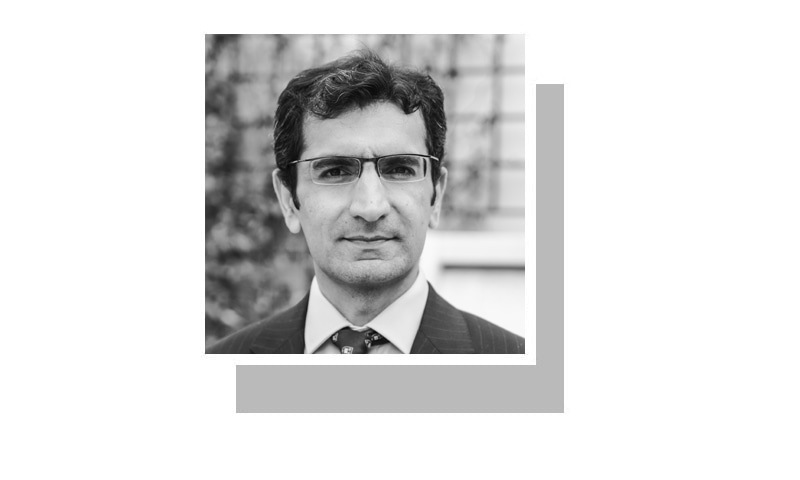 In sum, if Pakistan does engage the IMF, the engagement is likely to be via the exceptional access window which has tighter conditions attached to it. With regard to debt sustainability, the Fund’s lending rules may require Pakistan to re-profile its existing debt. While this may seem like painful medicine, it may not be so bad, especially for an incoming government that can blame the current woes on the previous governments’ reckless borrowing. Critically, a debt re-profiling could kill four birds with one stone: it would address US concerns that China should not be bailed out. It would be even-handed because all external creditors (including China and the Paris Club creditors) would be approached for a rescheduling. It would meet IMF requirements. And it would keep critical foreign exchange within the country, thus mitigating the pain that has to otherwise be inflicted on citizens. Still, Pakistan’s long-term debt problems require long-term solutions: more efficiency in SOEs, a stronger workforce, better tax/ GDP ratios, and so on. IMF or no IMF: which way forward? Exemplary advise by Prof Nadir Cheema. The wheels of finance, and gigantic network of productivity, employments, GDP, PCI, and other economic signs, all depends of inflow of foreign exchange, via any means loan, aid, grants,exports proceed, or overseas Paks remittances. The dilemma is during last decade two main stream political parties, instead of delivering, hit the economy by deadly devastating blows of their corruptions, the individuals responsible for such horrible trade deficit can be counted on fingers, the big ones are already in country, they may be yield by proper arm twisting to return the nation’s money. They can be tried under high treason acts, practically they left the nation on down slide to economic desaster, hence no sympathy whatsoever to them. It is far better to try hard by hook or crook to get money back from the looters, instead of begging to IMF. All luxury & nonessential items be banned for imports, with austerity measures at home, things will improve. Let's call this IMF bailout the last chance to get it right. Making sure that the Chinese pay for the infrastructure that is being built on Pakistani soil for Chinese use in case of a naval blockade of the South China Sea AND for use of Pakistani land and the resulting environmental degradation. IMF loans will not be a aid or gift they will be loans only to be repaid. Pakistani history of IMF loans is that it turns to IMF after a cycle of 5 years and without repayment of last loans takes further loan and thus increasing the over all total loan and interest burden. Make things that other countries want to buy. No US Taxpayer Dollars for Jihadis. Is the debt:GDP ratio only applicable on external borrowing? 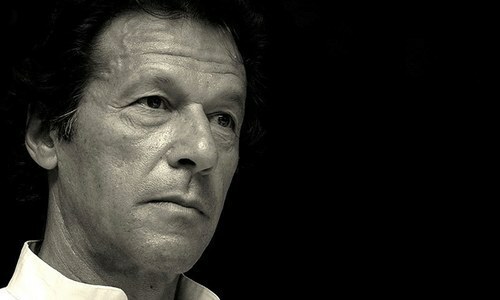 its very nice article sir but how pakistan should improve their economy without IMF loan ? "Still, Pakistan’s long-term debt problems require long-term solutions: more efficiency in SOEs, a stronger workforce, better tax/ GDP ratios, and so on." The author has it wrong. The prescriptions he mentions will help manage the fiscal deficit. It will not address the current account deficit which leads to the forex deficit. What @Altaf says is at the heart of what is needed to balance the trade and current account deficit. @Hanif is spot on. The creditors have to agree to debt reprofiling. In Pakistan's case it goes to IMF every 5-7 years, so the creditors would not be convinced that the reprofiling would be limited to just the period of current IMF loan. They know that if a precedent is set, Pakistan will continue to reprofile every 5 years and they will never get their money back. I have seen Pakistanis do wonders in foreign lands. Their middle class and lower class are disciplined and industrious. All you need is to infuse enthusiasm and motivation in them, provide them the tools and they can do wonders in Pakistan as well. People should not forget USA funds IMF. Talk as much, but that is America's money at the end of the day. The sound advice makes a lot of sense. Seems like a doctor saying the medicine will not be that bad. The solutions suggested suggest the economy remains between a CPEC rock and a future imf led hard place with existing debts outstanding. While financial jugglery is suggested as solutions, would someone like to suggest paying taxes for your nation is a habit to be either taught it coerced in Naya Pakistan to start with? No more free lunches esp for the elite. Some essential points have been made, especially about the process. Even if external debt is restructured, it excludes debt owed to multilateral financial institutions, as they have Preferred Creditor status. Restructuring commercial debts, while an option to explore, comes at a steep cost, including downgrade by rating agencies. On the overall discussion, the reason(s) for the acceleration of external debt should be kept in focus. No matter how one states it, an unsustainable external debt will have a knock off effect on the growth rate. No easy answers here, but its good to see an informed debate taking place. well in Naya Pakistan, I had thought people would come here to take jobs. So what are we now discussing. Why did kaptaan sb make sure promises. Was he even having clue? well let us see how better is this government. asking for charity for 22 years while amicable, is not equal to doing political struggle.